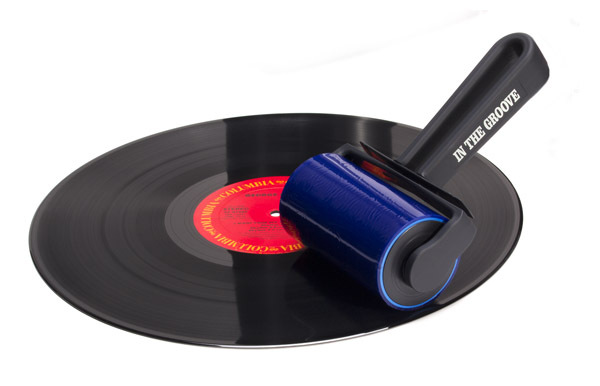 If you’d like to get a bit more fashion-forward than that comparatively bland Discwasher you’ve been using since the ’70s, consider this: Designed by a surgeon, based on a tool used for cleaning debris from operating-room instruments, the sticky surface of the In The Groove record cleaner is perfect for removing idle dust and dirt from your records. While it is no replacement for a vacuum RCM, this nifty roller is incredibly handy to use before play. Best of all, the sticky surface is easily renewed by rinsing in the sink. You can towel dry, but air-drying leaves it pristine for the next use.